Native to the tropical areas of Asia, this unique evergreen has small burgundy colored leaves that turn green as they mature. 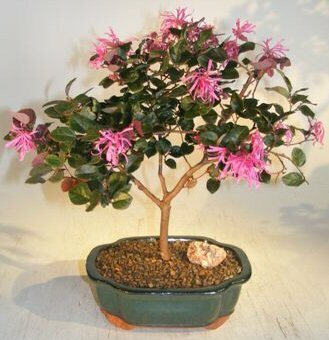 The Chinese Fringe, which is a relative of the Witch Hazel, produces fragrant clusters of ruby-red/pink flowers in the spring. Likes direct or indirect light and is cold hardy in temperatures just above freezing. The exfoliating bark on mature trees is most attractive. 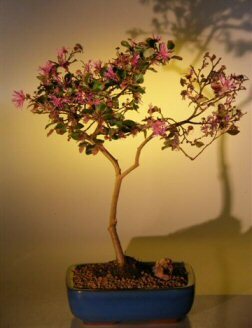 Great flowering bonsai tree for indoors.